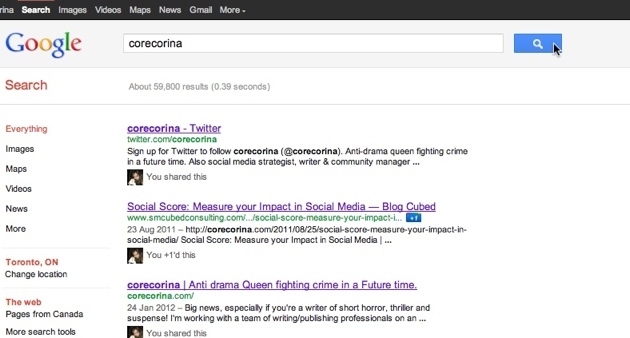 corecorina | Food, Tech, and Entertainment Culture, from an Anti drama Queen fighting crime in a Future time. I admit it. 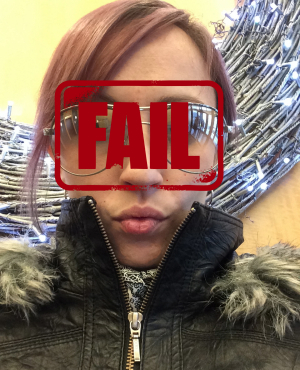 Sometimes I’m a bad blogger. Not that I’m unskilled or incapable, but I was forced to make a resolution this year that I intended to keep or bust: PUBLISH MORE CONTENT. Content creation is a true love; taking photos, making micro video, writing reviews, contributing comments… I really do love doing it. But the trick is to ensure that all the lovely content I collect actually makes it up online; and this has been the bane of my existence over the past year. Most blogs do a great job of putting up content, but it isn’t always GREAT. My perfectionist tendencies prevent me from tossing up a post, and often force me to rely on social media outlets to share content quickly; but with little to no insight, innovation or effort. It’s nice to have 2500+ followers on twitter, and it’s cool to see people interact with my content on Facebook. But as every good content creator knows, building content for other people’s platforms has limited value in the long run. Your site and reputation are better built on a foundation that you own and control. To be a successful creator, I know what I need to do differently in 2014: stop sitting on my great content and get it out there! The pursuit of perfection is a handicap, and ultimately a silent blog is worse than an active blog with mediocre content. HOWEVER, I also believe this to be the year of Filtering. Which means finding balance between publishing frequently and consistently producing high-quality posts that “add value to the conversation”. The din of half-assed content will be suppressed as search engines and recommendation tools become smarter at assessing value, and I intend to rise above it. It is so easy to collect versus display information but this year, I vow to make sure my content has a chance to be part of the conversation… so should you! 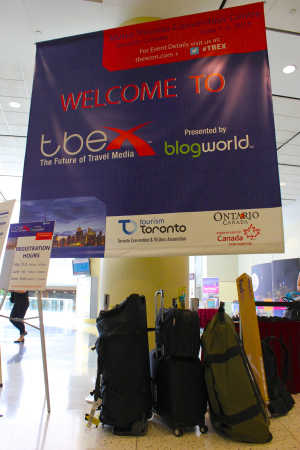 It’s not every day that a massive new media conference lands on my doorstep, but the arrival of TBEX to Toronto has practically done just that! 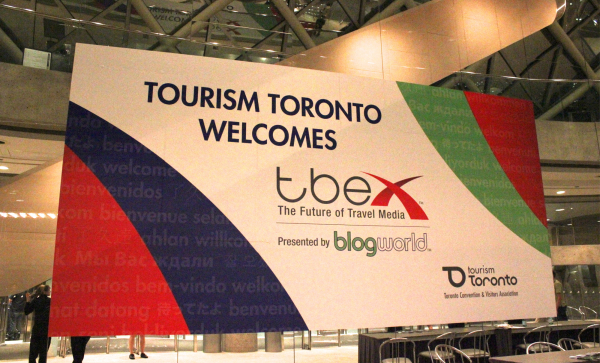 TBEX: The Future of Travel Media conference is designed to connect new media content creators with the travel and luxury brands who can bring exciting opportunities to the table. As I’m active in creating new media content for both food and travel blogs, this conference couldn’t have been a more convenient fit. Featuring exciting speakers ranging from HDR expert Trey Radcliff, Andy Murdoch from The Lonely Planet, and representatively from Google Travel, The Huffington Post and more, it’s a solid 2-day learning experience. Not to mention the dozens of pre and post-TBEX tours taking place around Southern Ontario, many offered free to TBEX attendees. It’s a perfect synergy of those who crave subject matter for their new media, and those who need content creators to comunicate authentic and unique experiences; win-win. Perhaps most exciting for me is that fact that I live in the heart of the city being featured at TBEX. Toronto is a gorgeous place, and it’s easy to forget how awesome it is when you live here day to day. Seeing the city through the eyes of 1,000+ adventure-hungry travel writers has definitely reminded me of what Toronto truly had to offer; a world class city, with amazing restaurants and thriving social media presence. So far, my favourite part of TBEX is being told by so many conference goers that, “Toronto is an amazing city, you’re so LUCKY to live here!” — I agree! If you’re coming to TBEX, be sure to say hi! Or just follow along here for anything awesome that’s fit to share. New Media Expo kicked off 2013, and I’m glad to say that the rebranded Blog World conference had some great take away moments around community building and engagement strategy. Certainly one of the best attended and most talked about sessions was Triberr co-founder Dino Dogan‘s Insane Loyalty: How to Get People Fanatically Addicted to You. 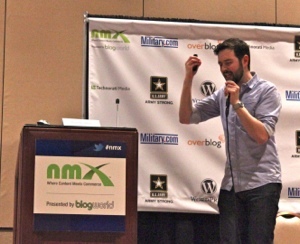 I especially liked Dino’s style of presentation – it really helped to kick off this year’s NMX experience. Dino’s examples really helped to bring his presentation to life; neither egocentric nor obtuse, the presentation was relatable and insightful. My take aways? Don’t be afraid of creating polarity. Status indicators make people happy. Triberr is something I should probably get on, stat. I think what he was really getting at is the idea of understanding your community to enable genuine points of connection; watch the video and you’ll get some fabulous real life citations. My other favourite presenters at NMX were both from the SEOmoz crew. If you’re not familiar, get familiar with this website… I have learned more about SEO here than almost anywhere else. CEO Rand Fishkin gave an elegantly quirky presentation entitled The Mighty Nudge: The Future of SEO, Social Media & Content Marketing. The slide show is below, but in case it’s not overly clear my take away is an assertion that agressive and inherently ‘unhelpful’ SEO strategies are being outperformed by the social nudge. SEOmoz Director of Community (and ‘voice’ of Roger, their mascot) Jennifer Lopez also gave a stellar performance as she discussed combining SEO + Community to “Make this Long Term“. I love the fundamentals, and Jennifer did an awesome job not only reviewing what goes in to proper SEO, but explaining its impact and benefit to your community. My take away wasn’t a revelation, but a reaffirmation of the long term value of SEO and community building – huzzah! 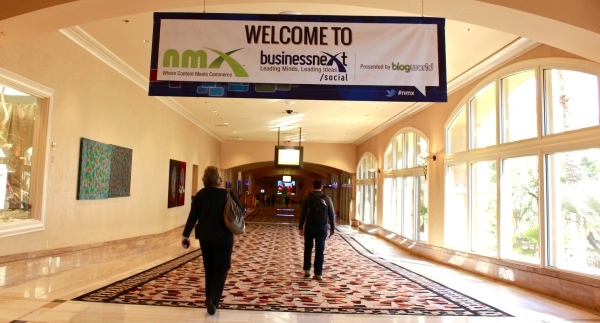 Of course there was plenty more to NMX, including some fabulous networking events where I was fortunate to meet a TON of bloggers… it seems that although the conference was more intimate, it is also reaching a broader audience. While I didn’t find every panelist compelling, I’m happy to say that the three standouts above made the NMX experience well worthwhile. Busy doesn’t even begin to describe how things have been lately; which is essentially my excuse for only now sharing that I am at the New Media Expo and the Consumer Electronics Show in Vegas this week! Having been to BlogWorld in 2010 (thanks to Mashable!) I’m excited to return to the re-branded New Media Expo. A gathering of thousands of bloggers, marketers, digital content specialists and brands, I’ve come to think of this event as both a professional opportunity and a social release… and where better to combine the two than in Las Vegas. If you don’t already know, I love Vegas with a vengeance. I typically stay at The Luxor, where rates go as low as $29/night and the staff always seem to be happy and helpful. Not so for a few other places I have stayed, and I actually cancelled my hotel room onsite at NMX the day I landed to switch to Luxor and saved about $100. Pretty impressive since this is one of the busiest weeks in Las Vegas for conferences; thanks mainly to the Consumer Electronics Show. 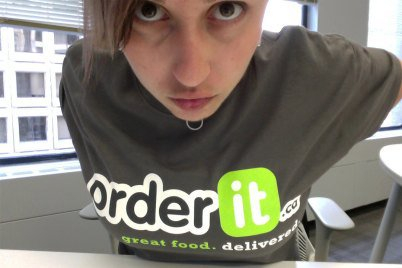 To follow my Las Vegas food adventures at #NMX and #CES, check out FoodSpun.com. If marketing, engagement and community management is your thing, come back to this blog for my New Media Expo take aways. And if you’re an entertainment and social technology nerd, you’ll want to stay tuned right here as I explore all the awesome that CES 2013 has to offer! 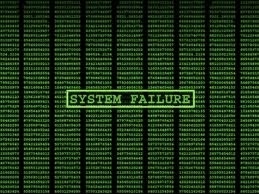 Procrastination makes jerks out of good people… at least that’s the excuse I’m sticking to for why I haven’t updated this blog in a deplorable 6+ months. I do have a couple other excuses to pull out, though. And since I would never EVER recommend anyone going so long without a proper update, maybe one of these reasons will stick to your sympathetic side. Writers, get your submissions in! The team at BIFF BAM POP! is putting together a premiere anthology of Horror, Thriller and Suspense short stories, but the deadline to submit your work is April 1st! This is a unique opportunity to have your work read by thousands of BIFF BAM POP! readers, and to be promoted alongside other quality writers. It’s going to be a great collection; get your submissions in NOW! SMO (Social Media Optimization) or social SEO is basically a measurement of how your online social media activity registers in search engines. Ranking highly on any search engine is generally equated with your online visibility, and therefore how many people are likely to see the content you generate. I’m sure for some the idea of having social activity indexed by a search engine seems like a violation of privacy; nonetheless, a quick Google search of your name or handle will show you how pervasive your social presence has become. 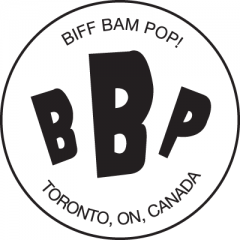 Call for Submissions: Horror, Thriller, Suspense Anthology from Biff Bam Pop! Big news, especially if you’re a writer of short horror, thriller and suspense! I realized today that it’d been nearly a MONTH since I last posted to my own blog; but that’s only because I’ve been busy writing elsewhere! An incredibly popular post for me this week was for BiffBamPop’s Conspiracy series, entitled Take the Red Pill: The Matrix Conspiracy. For my part, I tried to take a look at three layers of conspiracy in the film. It’s been a lot of fun writing for this website, where I get to do one off pieces on great movies, along with my regular South Park reviews. You can check out more of my work on BiffBamPop here.